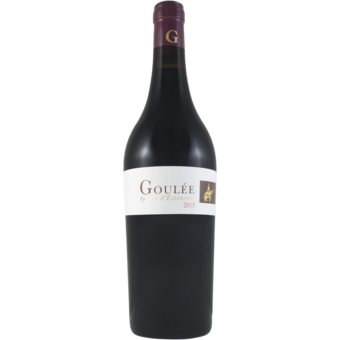 "Aromas of sweet tobacco, plums and cherries follow through to a medium body, firm and silky tannins and a fresh and bright finish. Juicy and flavorful. Drink in 2020." "Goulee by Cos d'Estournel brings to mind a light sea breeze, refreshing eucalyptus and the tantalizing scents of juicy, ripe berries and rich cacao beans...Evoking an invigorating afternoon spent on the water with friends or a delicious meal in an oceanfront bistro softly lit by the glowing rays of the sun, Goulee by Cos d'Estournel is decidedly untamed, a bold and expressive wine.